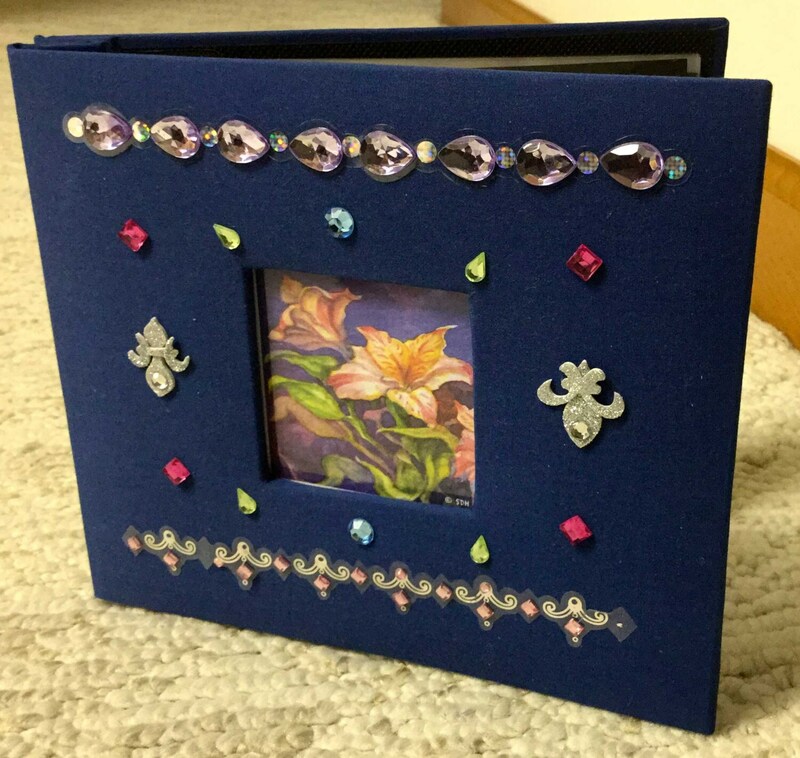 My Hand Embellished Photo/Scrapbook Albums feature jewel like covers that I designed and decorated. 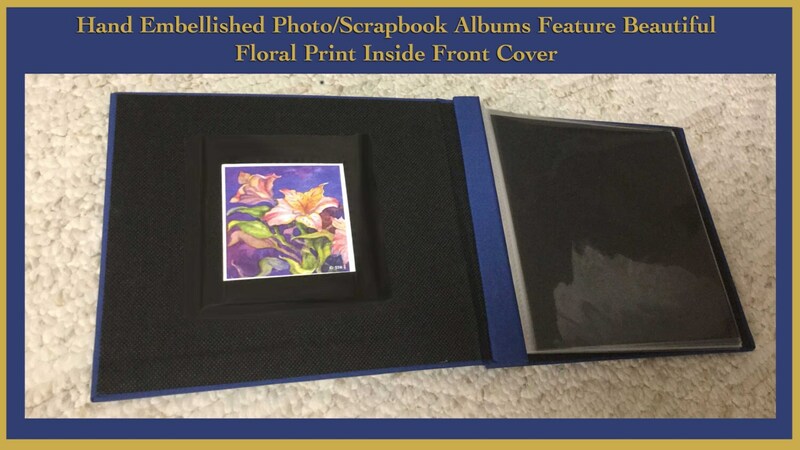 In the small window of each cover I have placed a handmade fine art print of one of my own original watercolor floral paintings. 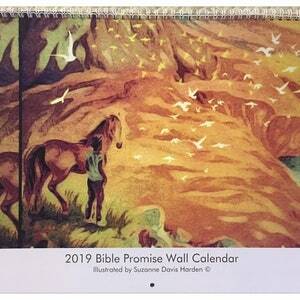 I printed each image onto premium photo paper with my own inkjet printer making sure that the final image matched my original painting as closely as possible. 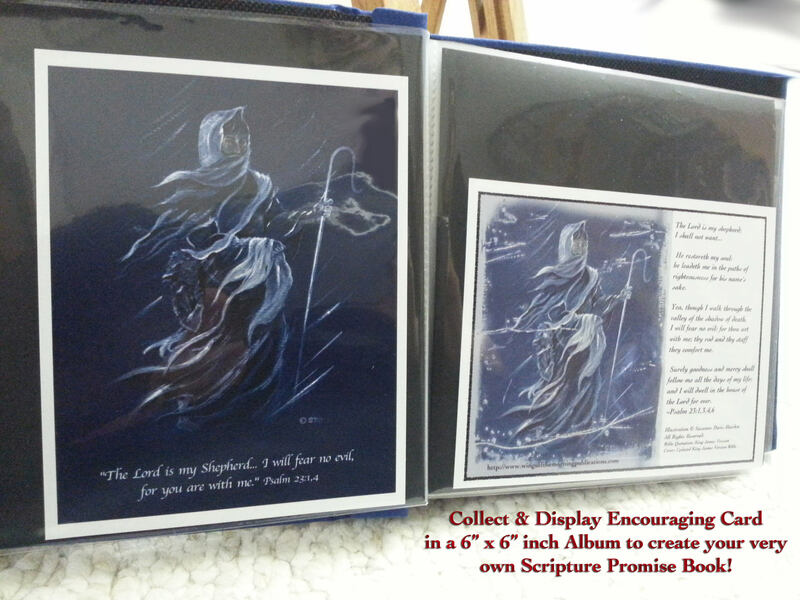 Each Photo/Scrapbook Album is 6" x 6" inches. 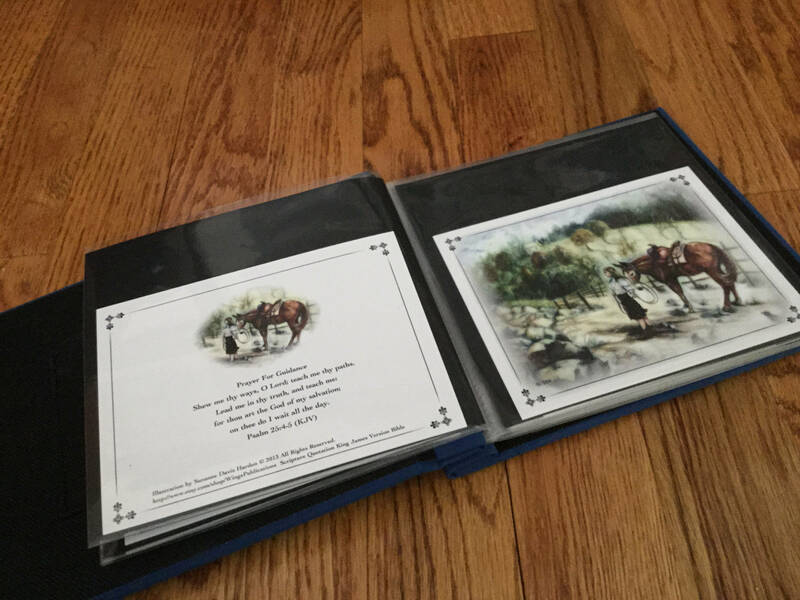 Albums are expandable and contain10 clear plastic top loading pages with black inserts and will hold up to 20 of your treasured photos or keepsakes. 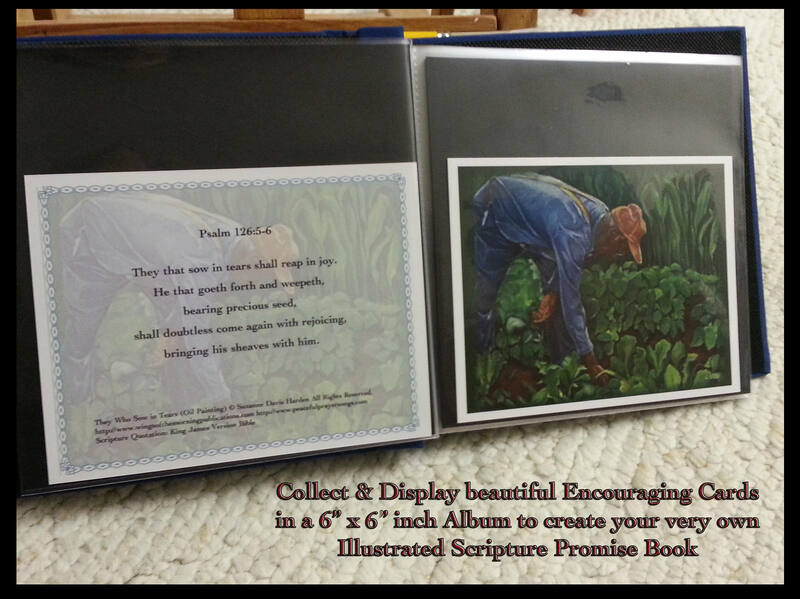 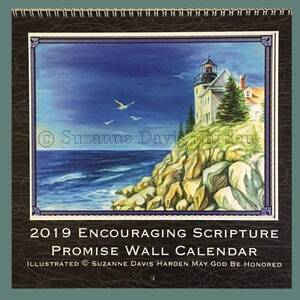 Your handmade scripture promise book will make a lovely heirloom gift, encouraging ministry tool, or treasured devotional you will want to keep by your bedside for comfort. 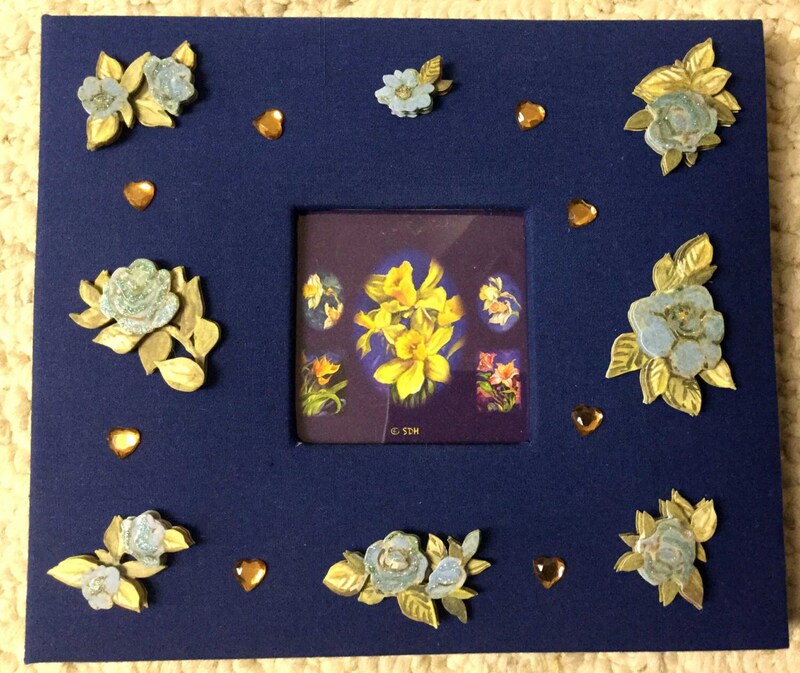 Each individual Photo/Scrapbook album is a lovingly made work of art. 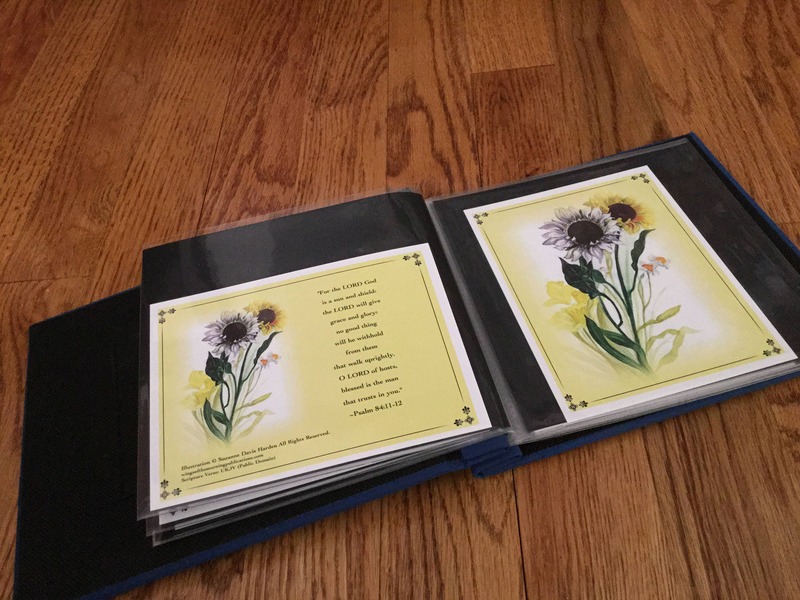 No two albums are alike for I designed and decorated each of them with a different motif and assembled each of the two albums with its own unique floral print. 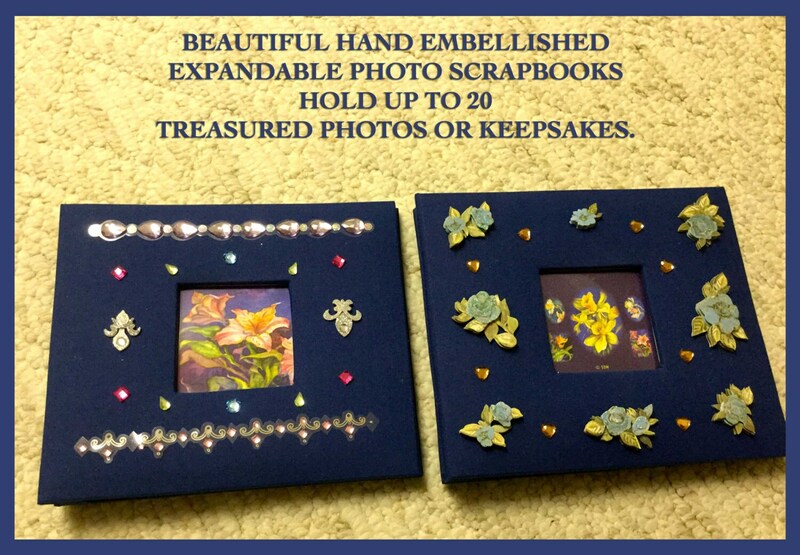 There are only two of these beautiful handmade Photo/Scrapbook Albums available. 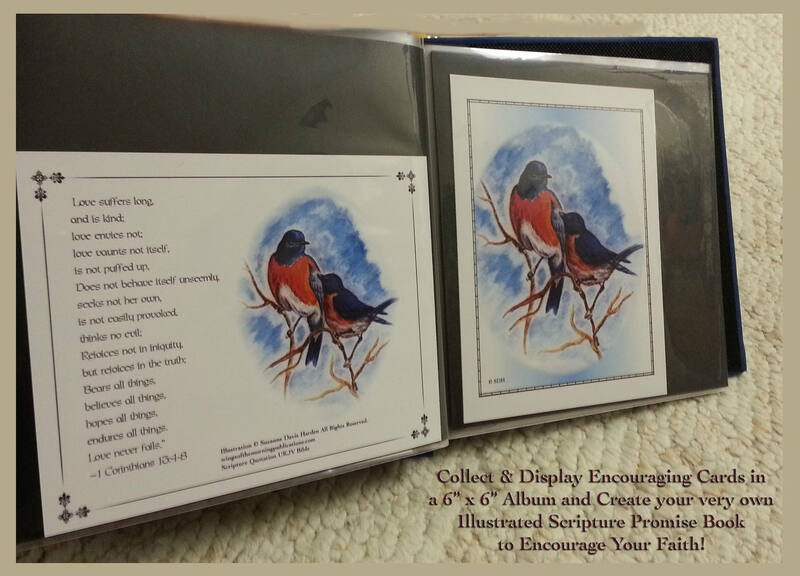 *Please keep in mind that these hand-embellished albums contain very small parts and are works of art. 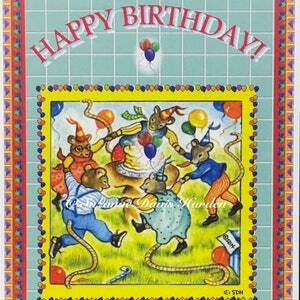 Please keep them away from small children and pets. 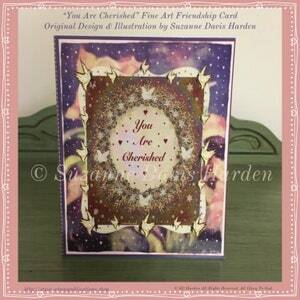 I ship my Hand Embellished Photo/Scrapbook Albums very carefully via USPS Priority Mail.